HW-CEP Intrinsically safe scale for hazardous environments. The intrinsically safe product design ensures the highest level of safety and complies with the latest hazardous area standards. 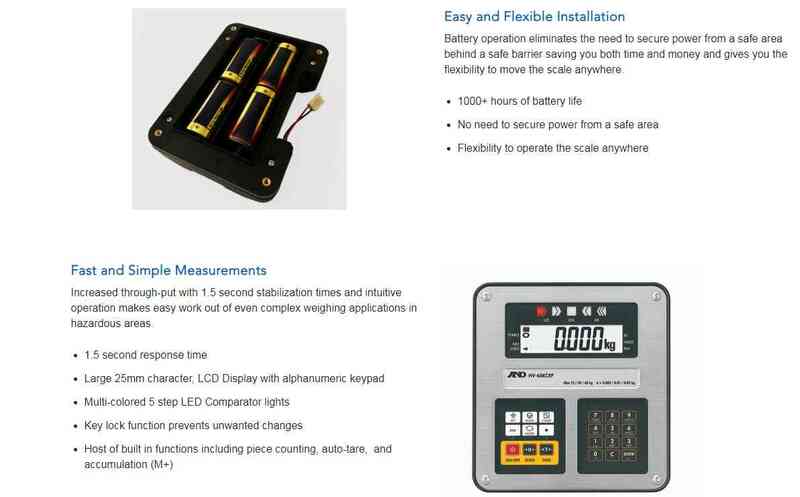 Weigh at the "Speed Of Light" in hazardous areas. The HW-CEP family of bench scales are certified to global standards IECEx, ATEX and FM/FMc and are approved for use in FM Class 1, Division 1, groups C & D hazardous areas. The A&D Weighing HW-CEP bench scale family is designed to weigh safely in potentially explosive atmospheres. The intrinsically safe product design ensures the highest level of safety and complies with the latest hazardous area standards. The fully configurable, large 5 segment lights enable fast, accurate checkweighing. Auto-tare, accumulation and counting features add to the benefits of this truly versatile hazardous area scale, available from Central Carolina Scale. 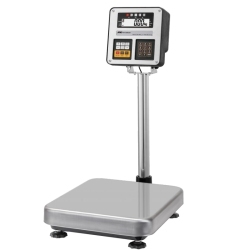 The HW-CEP Series Bench Scale is designed to weigh safely in potentially hazardous environments. This intrinsically safe product ensures the highest level of safety and is approved according to global standards for use in FM Class 1, Division 1. Battery operation eliminates the need to secure power from a safe area behind a safe barrier saving you both time and money and gives you the flexibility to move the scale anywhere. The HW-CEP Series operates on 4 D approved batteries, making it unnecessary to secure power from a safe area via a safety barrier. 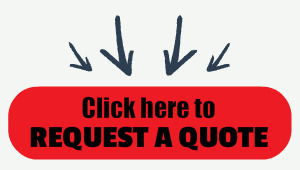 This avoids the expense and inconvenience of special wiring installed by a qualified electrician. And with battery power, you can take the scale where you want to weigh. Increased through-put with 1.5 second stabilization times and intuitive operation makes easy work out of even complex weighing applications in hazardous areas. The stainless steel weighing pan resists chemicals, scratches and rust. The IP65 base is easy to keep clean and hygienic and allows for weighing where spills are a potential hazard.